Refer official Maps International Website to view full Terms & Conditions. You can buy an online map that specializes in creating an extensive range of maps through Maps International. It sells here exclusive world maps and decorative maps too. 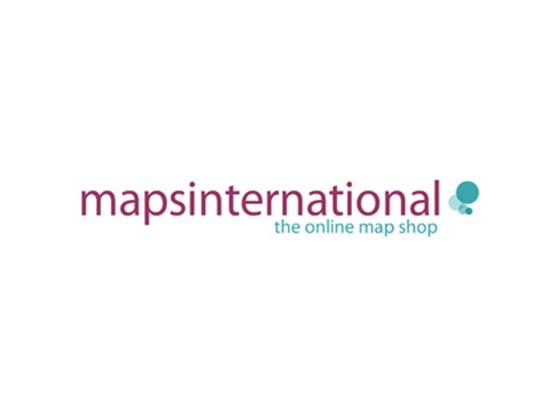 Browse through mapsinternational.co.uk to find some of the best selling maps in the UK. You can use the Maps International discount codes which are available from Dealslands website and save with it. These maps can be useful for any purpose whether its for a gift or decorating a home or business purpose with a comprehensive catalogue. It also includes special cartographers and designers to make sure that it brings the best design to the masses. Furthermore, you can also purchase maps with Maps International discount codes and get discount on your purchase. The store is available on Facebook, Instagram, Pinterest, and Twitter. Thus, when you follow them on social media and get the latest deals and Maps International discounts. If you want a specific size, you can then call their customer service on +4401993880939 and get the exact one. You can return the product if you are not satisfied with it within 14 days of the product received. Simply, contact Map International customer service on support@mapsinternational.co.uk or you can call them on 01993880939 if you want to return it. How to Save Bucks With Maps International? Get free delivery on all the orders in the UK. Sign up and get special offers and discounts exclusively for you. Get up 10% off on your first purchase. Browse through their sales section and get the best-discounted price. Thus, enjoy these Maps International discount codes and save with the help of it.